For the past decade or so—perhaps even longer—antibacterial soaps (and wipes) have been all the rage. And congratulations to marketing companies for making it seem like we need them, like they were somehow more effective than soap and warm water. But now the U.S. Food and Drug Administration (FDA) is sending an entirely different message. 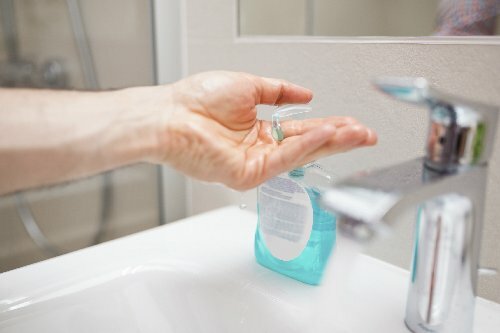 The FDA recently issued a ban on antibacterial soaps, which the organization indicated were no more effective than regular soaps and even posed potential environmental and physical health concerns. The FDA gave companies a year to remove the chemicals triclosan and triclocarban, or remove their products from the shelves entirely. Triclosan in particular has come under fire for its physical health risks. It’s been shown to lead to respiratory illness and problems with hormonal and muscle function. It also contaminates the water supply, which has some substantial effects on the ecosystem that ultimately end up impacting your health. Antibacterial Soaps Useless and Even Risky…What to Do? So what can you do? Well, it’s going to take the ban some time to kick in, but that doesn’t mean you need to keep buying antibacterial soaps. The research shows that they don’t do a better job at cleaning your hands and other surfaces, so stick with the old faithful, soap and water. And the truth is—just as it always has been—that regular old soap is the best way to get just about anything clean. It’s a more effective way to clean dishes and your hands and to keep you healthy. When the antibacterial soap label reads “kills 99.9% of germs” it isn’t lying; however, regular soap and water kills 100% of the ones that cause infection. And, almost as importantly, the soap and water combo also lets the healthy microbes on your body survive. And it’s cheaper, too! To stay healthy, use soap and warm water. Wash your hands thoroughly to prevent the spread of dangerous germs, especially when you come in from outdoors and before and after preparing food. Prupis, N. “‘Huge victory for health’: FDA orders antibacterials removed from soaps,” Common Dreams, September 2, 2016; http://www.commondreams.org/news/2016/09/02/huge-victory-health-fda-orders-antibacterials-removed-soaps, last accessed September 6, 2016. “Why the FDA is banning antibacterial ingredients from soap,” CBS News, September 5, 2016; http://www.cbsnews.com/videos/why-fda-is-banning-antibacterial-ingredients-from-soap/, last accessed September 6, 2016. Dunn, R., “Scientists discover that antimicrobial wipes and soaps may be making you (and society) sick,” Scientific American, July 5, 2011; http://blogs.scientificamerican.com/guest-blog/scientists-discover-that-antimicrobial-wipes-and-soaps-may-be-making-you-and-society-sick/, last accessed September 6, 2016. Urquhart, J., “Antibacterial soap has poor killing power,” Scientific American, September 24, 2015; http://www.scientificamerican.com/article/antibacterial-soap-has-poor-killing-power/, last accessed September 6, 2016.